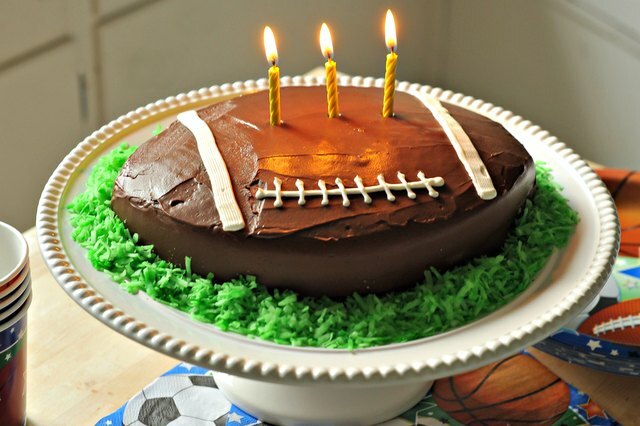 Football shaped cakes can be baked for many occasions. They can be used for birthday parties, tailgating and Super Bowl parties. 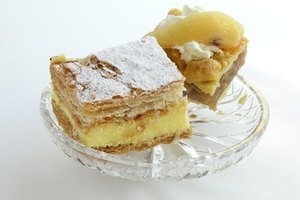 They've even been used as groom's cakes. 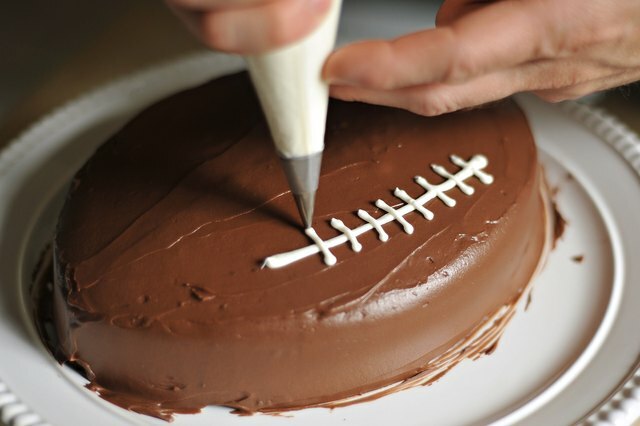 You don't need special pans or recipes to make football shaped cakes and it doesn't take a professional cake decorator to get professional results. 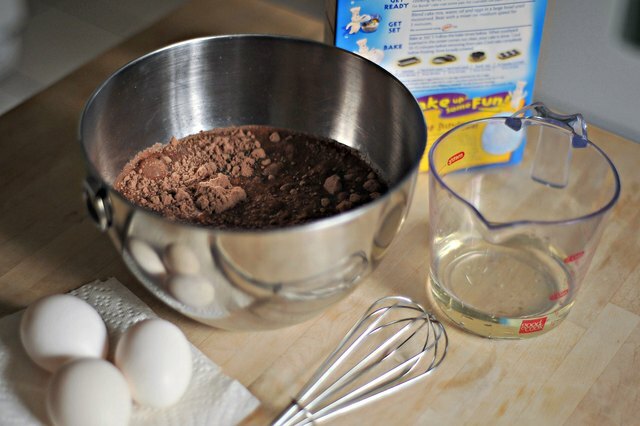 Mix the cake according to the directions and bake it in the 10 inch round pan. 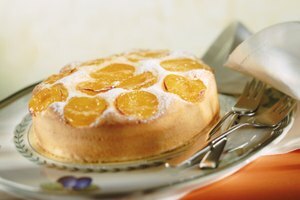 Make sure you grease the pan so the cake comes out easily. Let it stand for 30-45 minutes or until it's completely cooled. 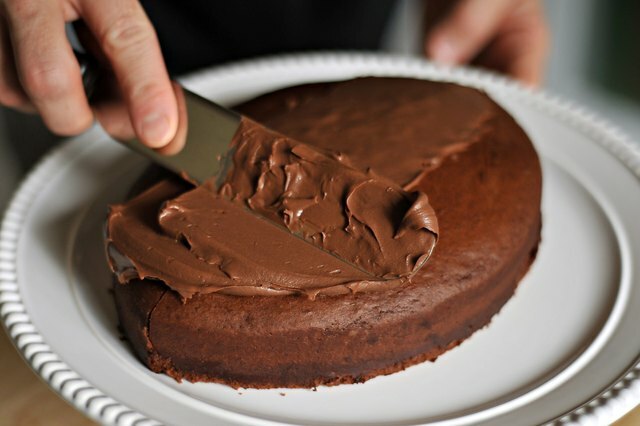 Frost the cake with chocolate frosting. Let it stand for 30 minutes. 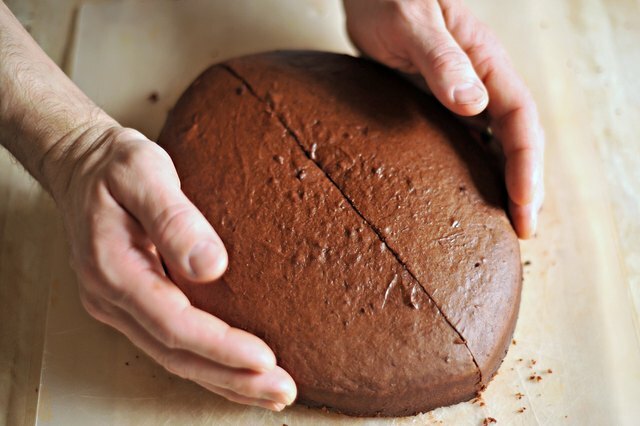 If you want to add texture, use a clean towel and gently press it onto the cake. 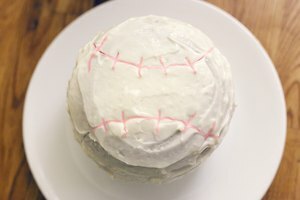 Fill the pastry bag with the white frosting. Using the No. 3 tip, draw laces on the football. You can use a basket weave tip to add the two stripes to each end of the football. Place the coconut in a bowl and add 4-5 drops of green food coloring. Mix it until you have a color for grass. 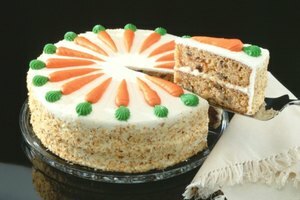 Arrange the grass around the bottom of the cake. Put a little chocolate frosting between the halves of the cake to help it stick together. 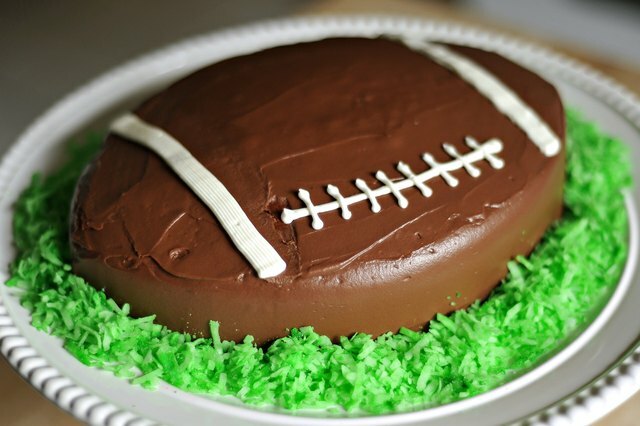 You can use decorative icing in tubes from the store instead of pastry bags and frosting to decorate the football. 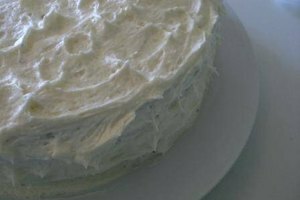 Frosting a cake is made even easier by placing the cake in the freezer for three or more hours. Make sure the coconut is dry before putting it around the cake.